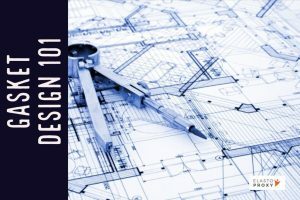 In this article from Elasto Proxy, you’ll learn when to choose and how to use the four common shapes for extruded rubber seals. We also invite you to stay tuned for a series of short videos that will explain what you need to know about P-seals, D-seals, E-seals, and lip seals. P-shaped seals have a rounded bulb and a flat stem. The bulb provides sealing under compression. The stem or tail is used for attaching the gasket to a substrate. With P-seals, the installer lays the seal’s tail atop a flat piece of metal. The installer then rivets the rubber stem into place or lays a piece a bar stock on top of the tail prior to fastening. Either way, P-shapes are installed with mechanical fasteners instead of with adhesives. 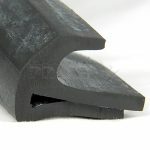 Typically, P-shaped profiles are used in building and construction applications. D-shaped seals have a half-moon bulb and a flat bottom. The bulb provides sealing under pressure, such as when the door to a mobile equipment cabin or machine enclosure is shut. The flat part of the seal attaches with an adhesive instead of mechanical fasteners. Fasteners are durable, but taped gaskets support peel-and-stick installation in environments without excessive abrasion, high heat, or corrosive chemicals. 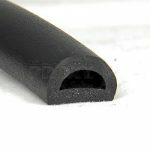 Typically, D-seals are made of sponge rubber for superior sealing under compression. 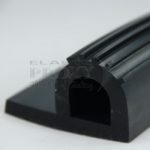 D-seals are great for sealing the gap between a long piece of sheet metal and another surface, such as the edge of a door. Long pieces of thin-gauge sheet metal may look perfectly straight, but they’re not. Often, there’s some bowing along the length of the metal. This bowing creates gaps of different sizes between the sheet metal and the surface that you’re sealing. 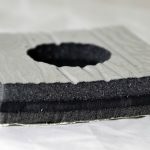 D-shaped gaskets fill these gaps and withstand “pressure points” where compression is greater because the gap is narrower. E-shaped seals look like a lowercase letter “e”. The top part of the seal is a half-moon bulb that supports compression. The bottom of the seal has a flat, straight tail that the installer lays atop a substrate. 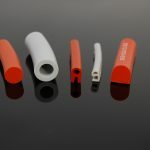 The middle of the E-seal contains a gap or slot where the installer inserts metal bar stock. The installer then rivets through the bar stock and the rubber tail into the substrate. If the gap or slot in this E-shaped profile is narrow, the installer may need to move the bulb during fastening. E-seals are used in applications, such as food processing, that require mechanical fastening instead of adhesives because of high heat and chemicals. 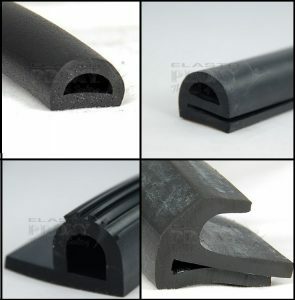 To withstand these environments, many E-shaped profiles are made of silicones or fluorosilicones. Both materials can resist high temperatures, but fluorosilicones combine chemical resistance with heat resistance. Lip seals have an edge or extended lip instead of a rounded bulb. Some lip seals look like the letter V where one leg of the V lays flat while the other leg is raised. Other lip seals look more like the letters C or J. 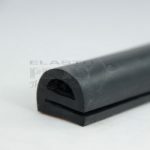 There are also lip seals with a gap or slot that’s designed to accommodate metal bar stock for fastening. Regardless of these differences, all lip seals have something important in common. They don’t need full compression to provide effective sealing. Larger lip seals attach with mechanical fasteners. Smaller lip seals use adhesives instead. Some seals are installed with both attachment methods. Lip seal applications include water filtration systems. The flat part of the seal is attached to the bottom of a metal gate that swings open and closed. 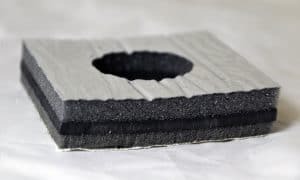 The edge or extended lip is compressed against a concrete floor to form a tight, reliable seal. 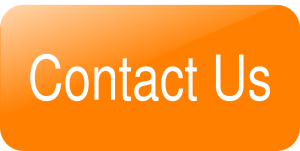 Do you have questions about P-seals, D- seals, E- seals, or lip seals? Look for Elasto Proxy’s upcoming series of short videos or contact us on-line anytime.